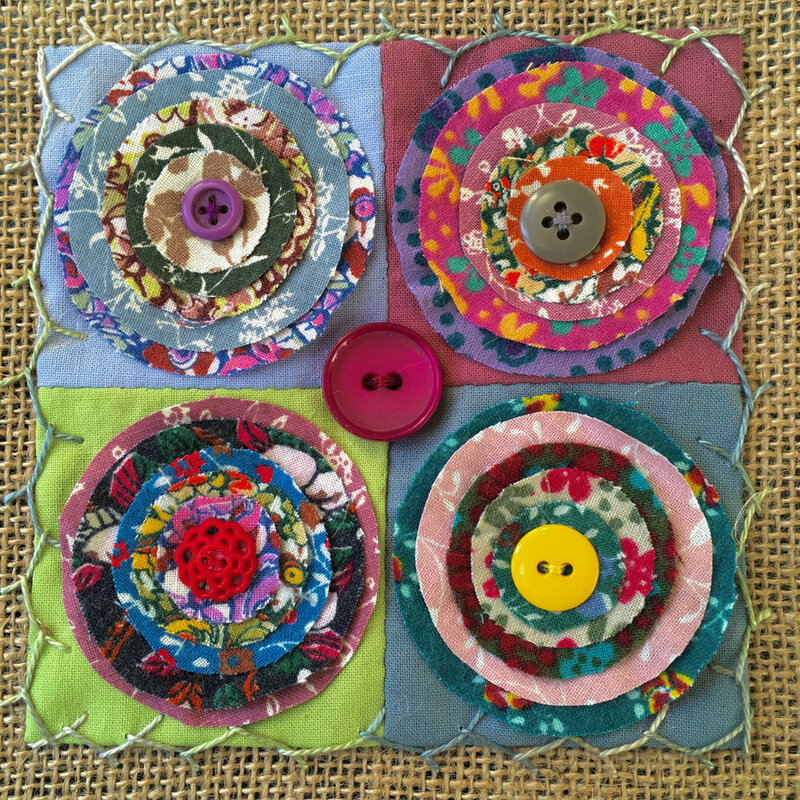 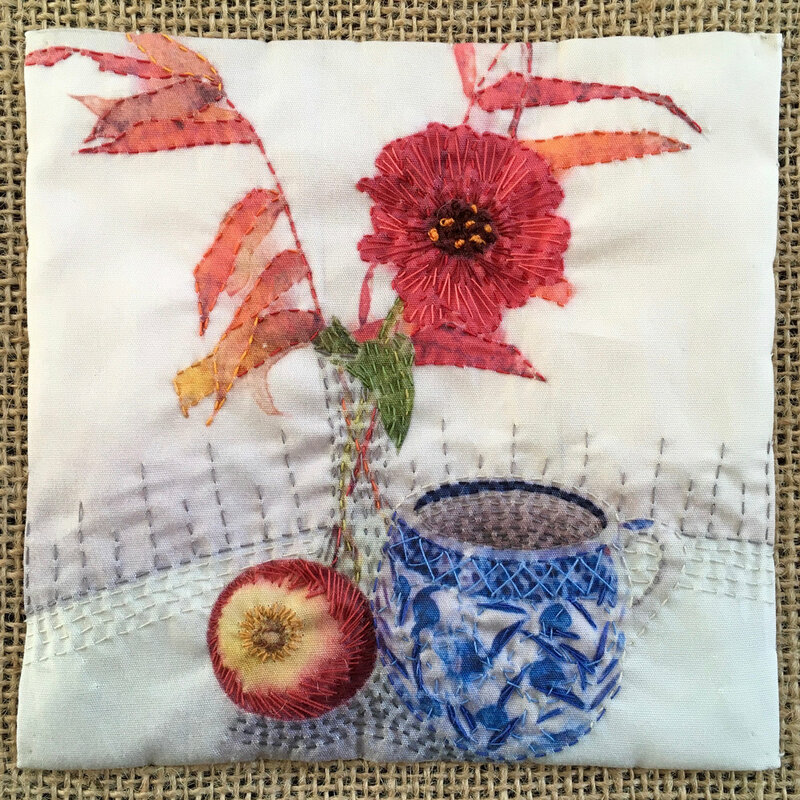 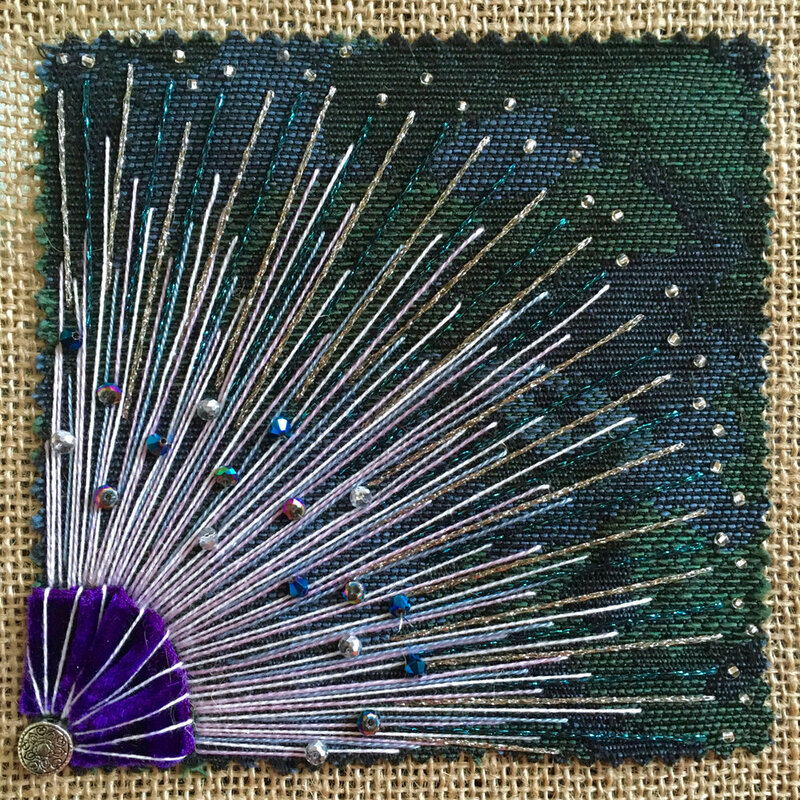 In 2016, I participated in Kate Bridger's Made on Monday project. 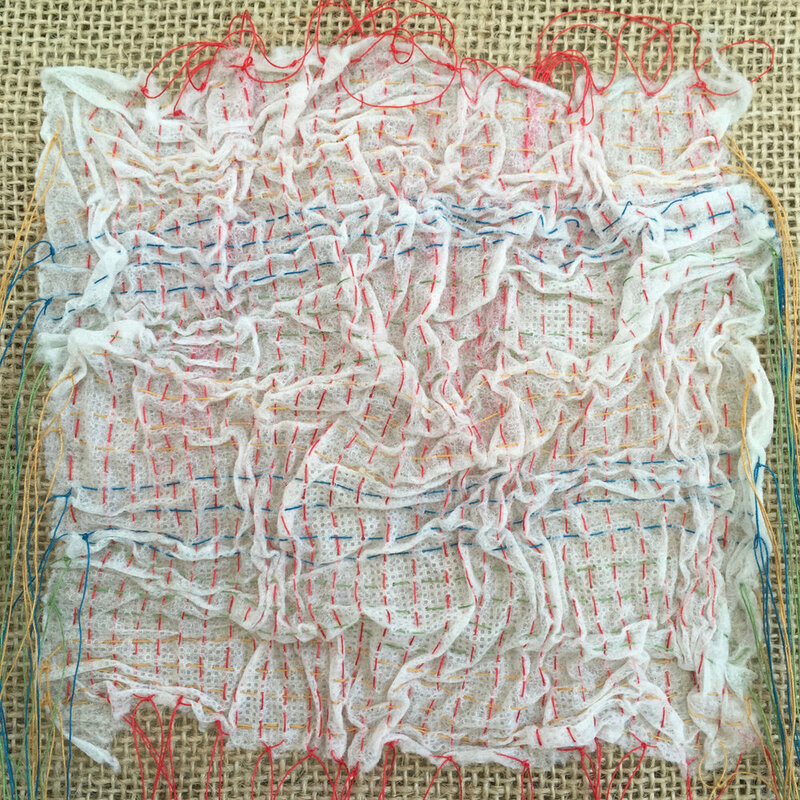 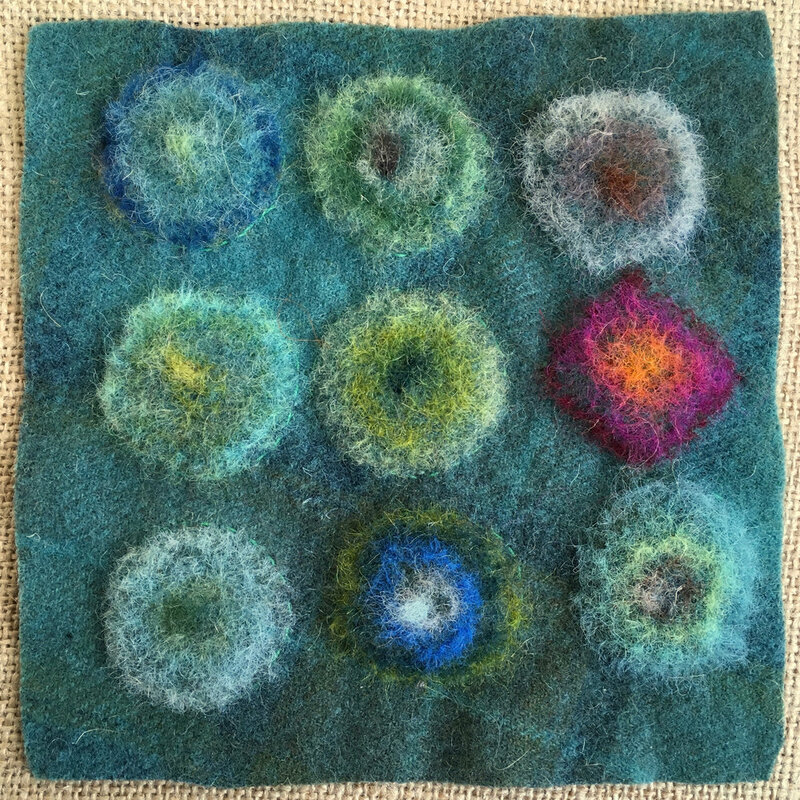 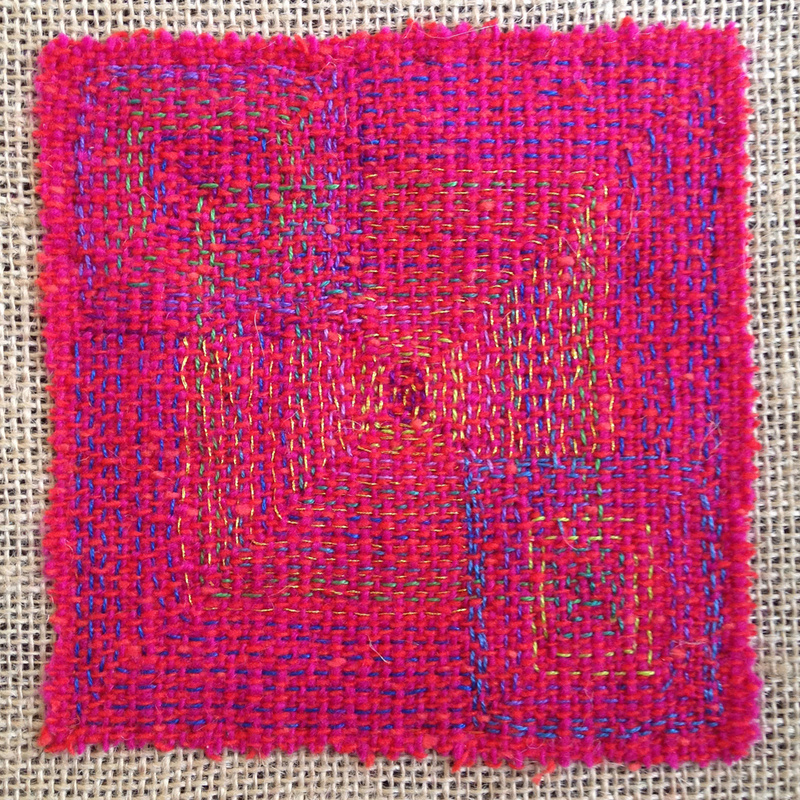 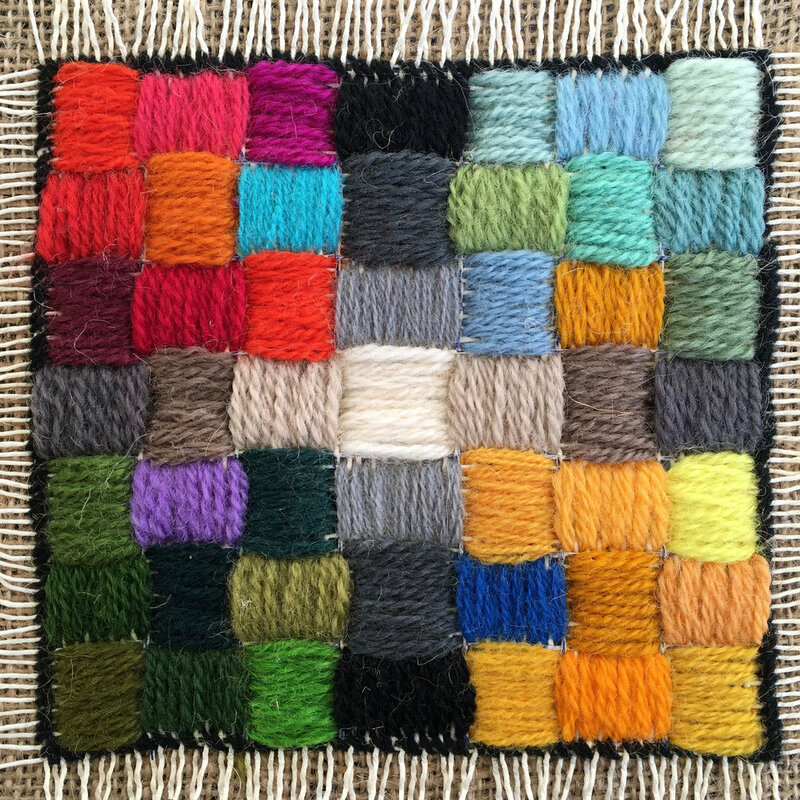 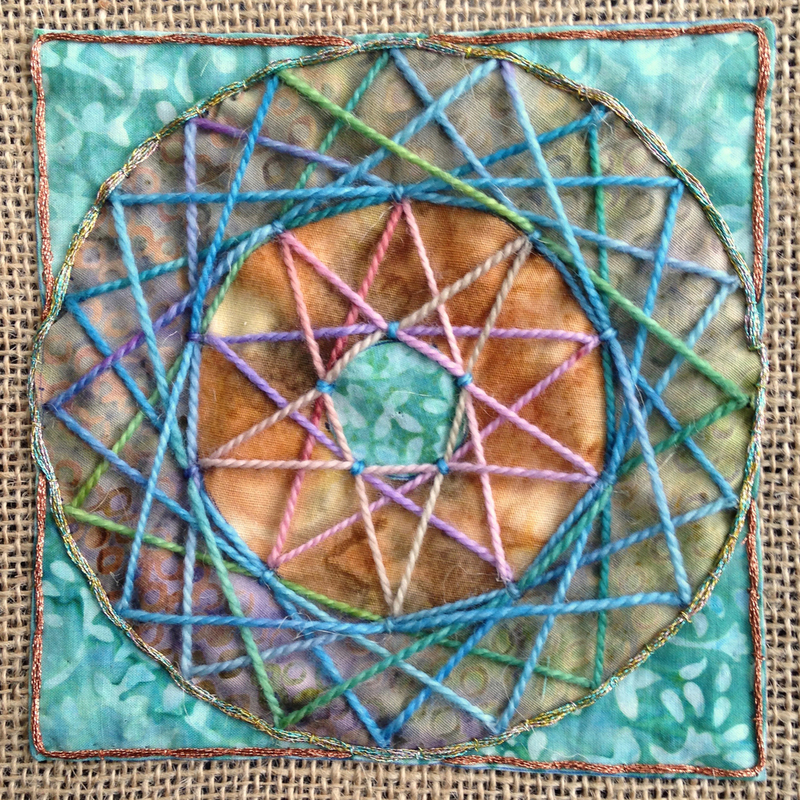 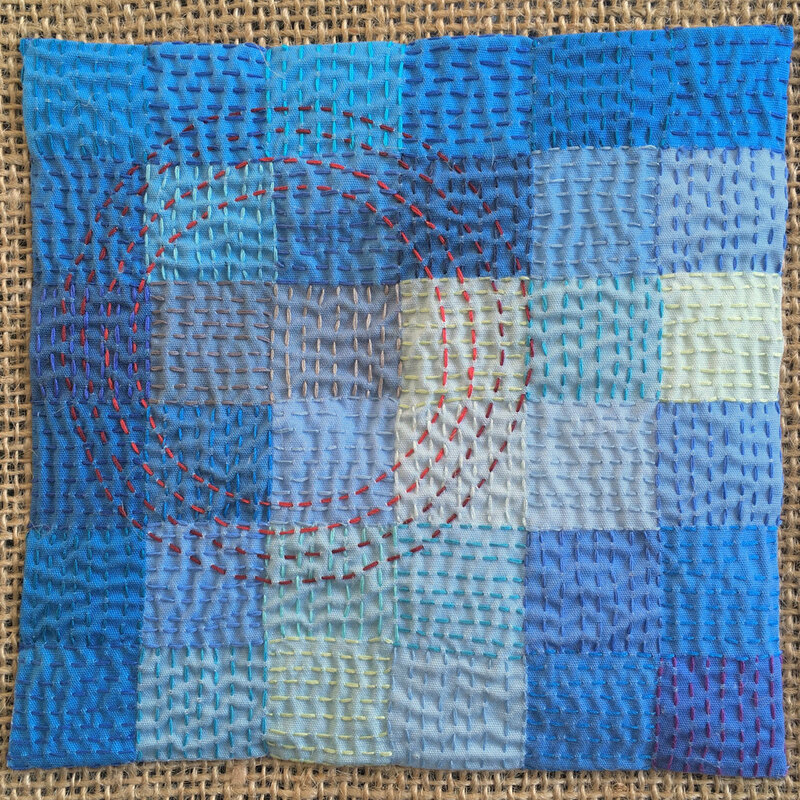 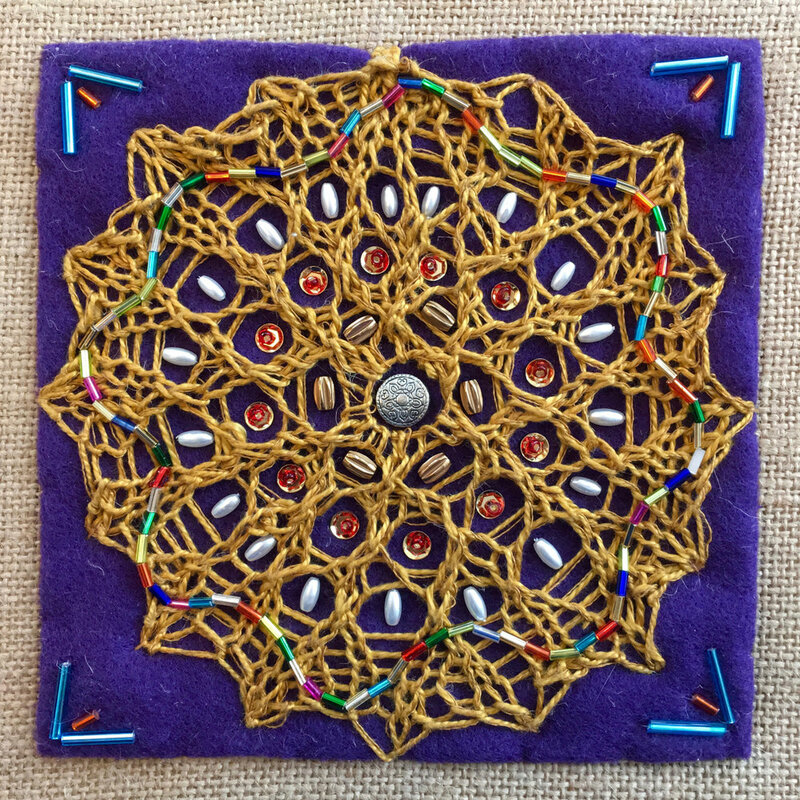 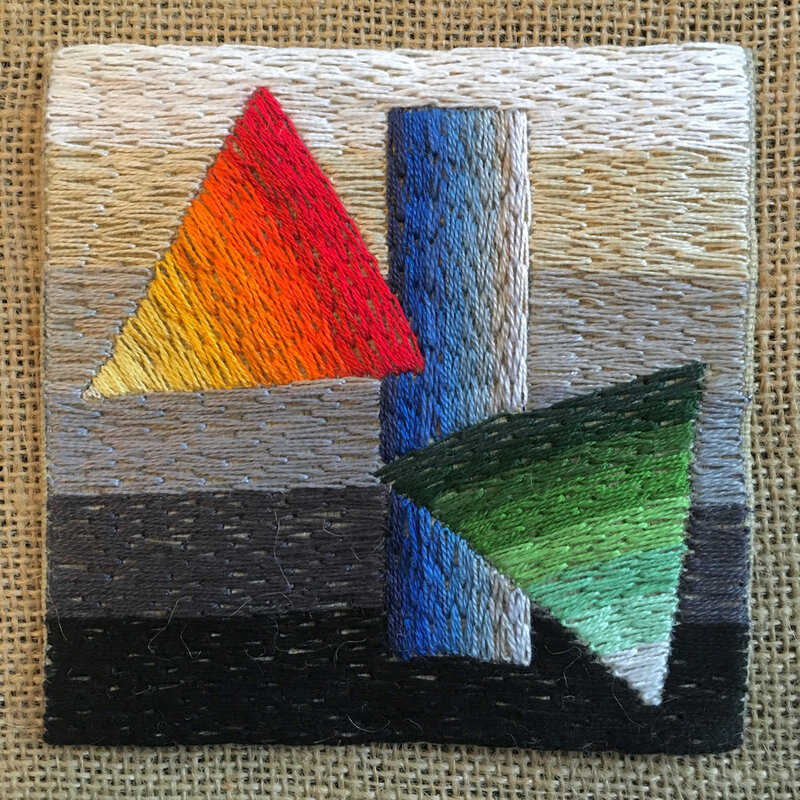 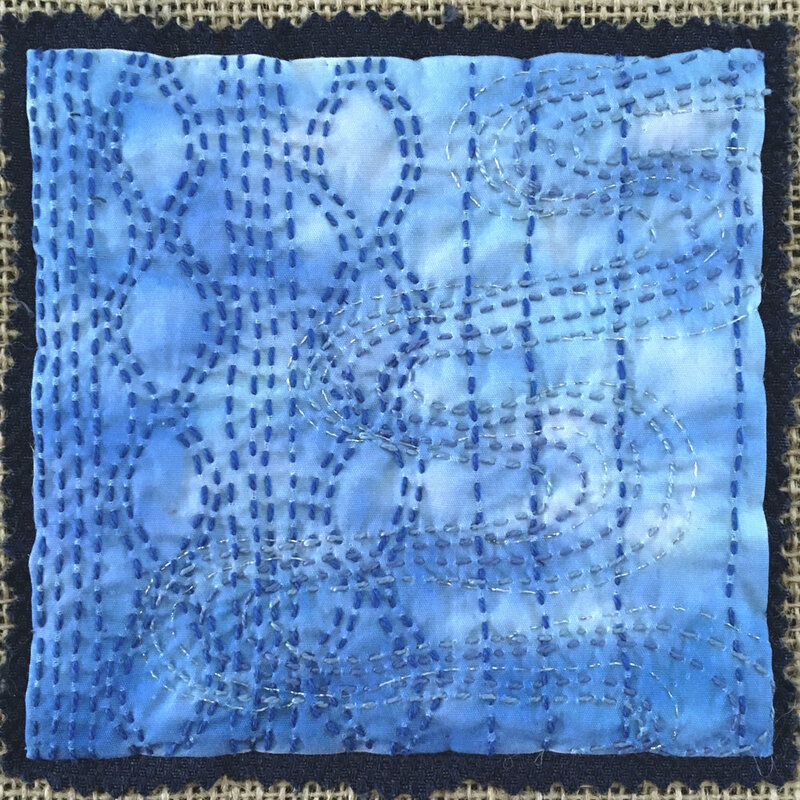 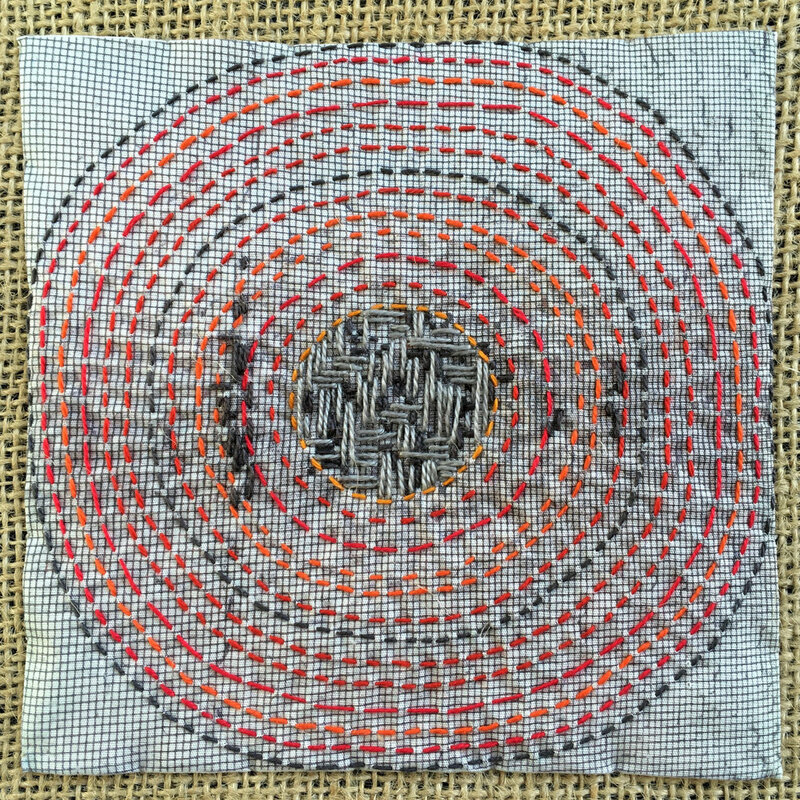 Every Monday in 2016, I created a small piece of fiber art--5 inches by 5 inches. 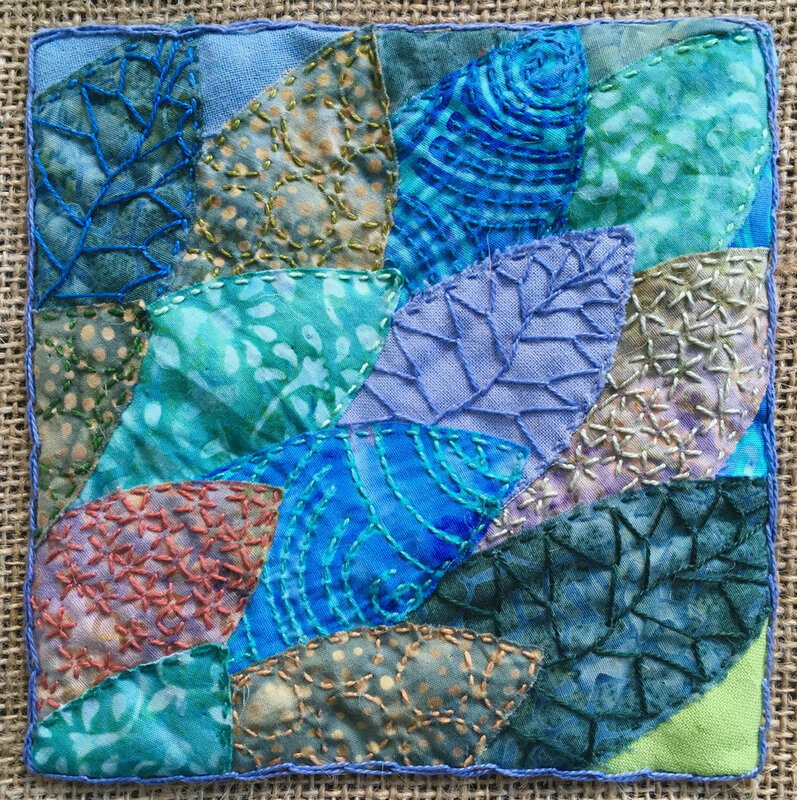 I explored various techniques: embroidery, applique, weaving, knitting, and more, using each technique alone or in combination with others. 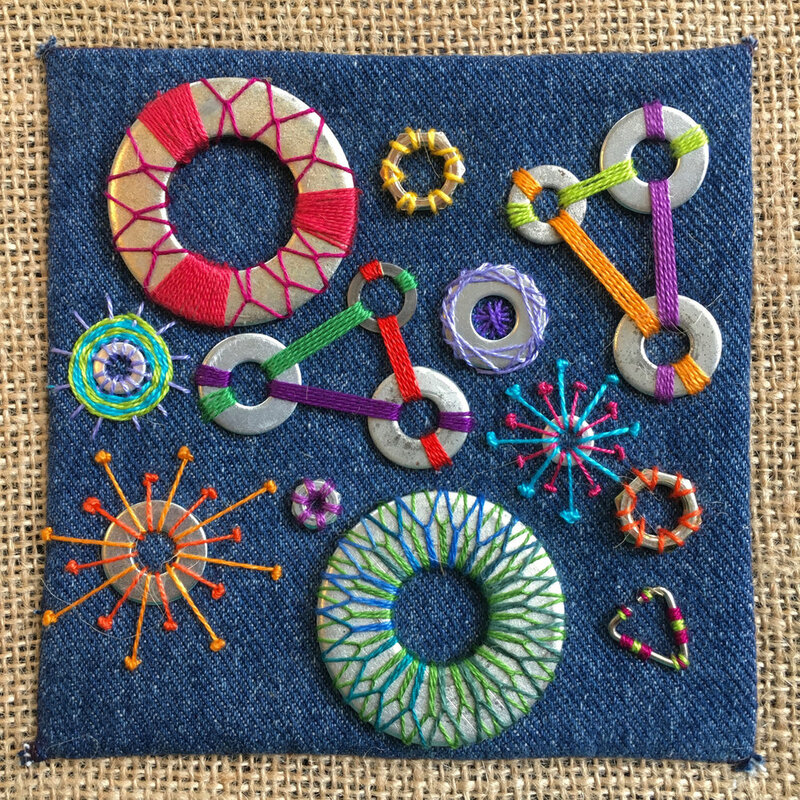 My idea for these pieces was to work more or less spontaneously, with little forethought or planning, and simply let the work evolve within the constraints of time and size, and using limited materials for each piece. 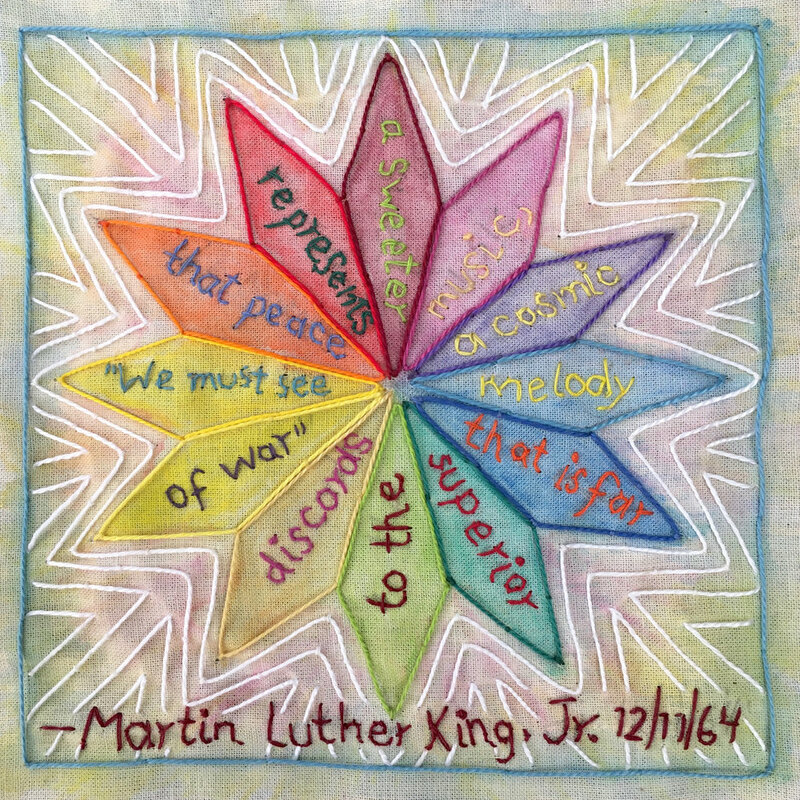 In 2019, I embark once again on the Made on Monday journey. 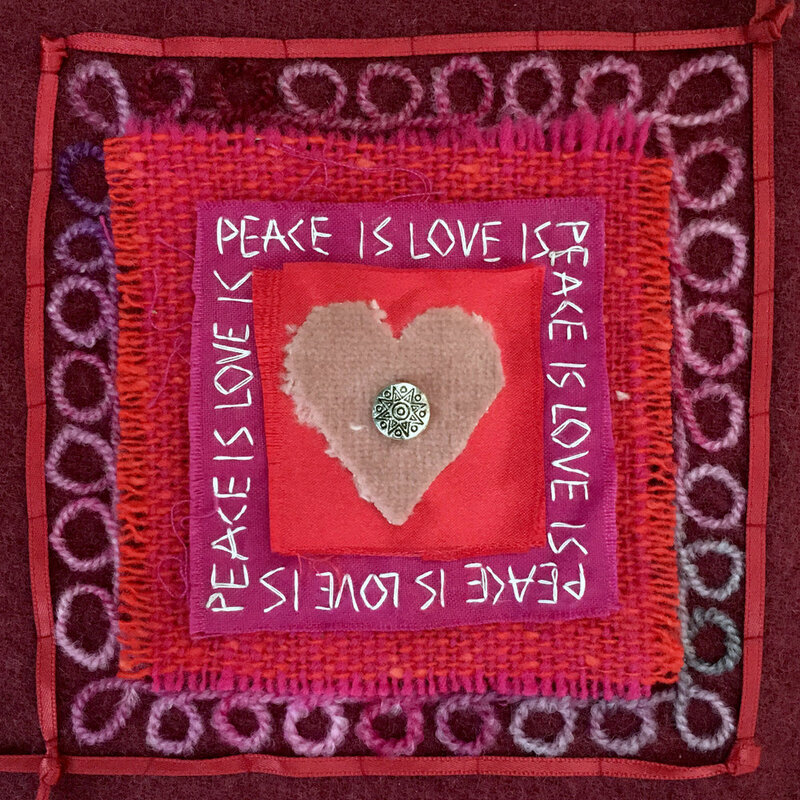 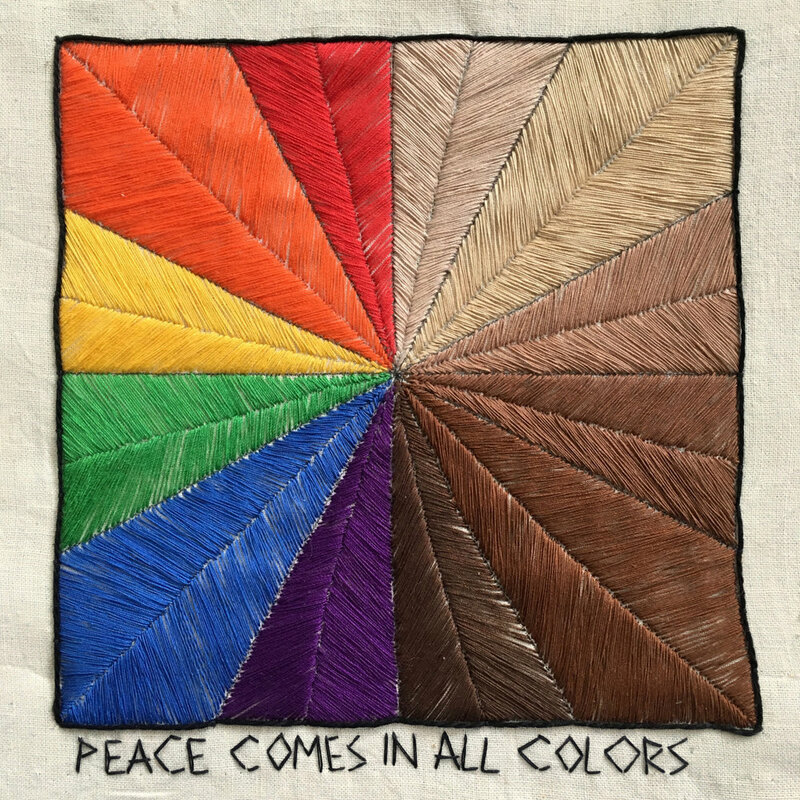 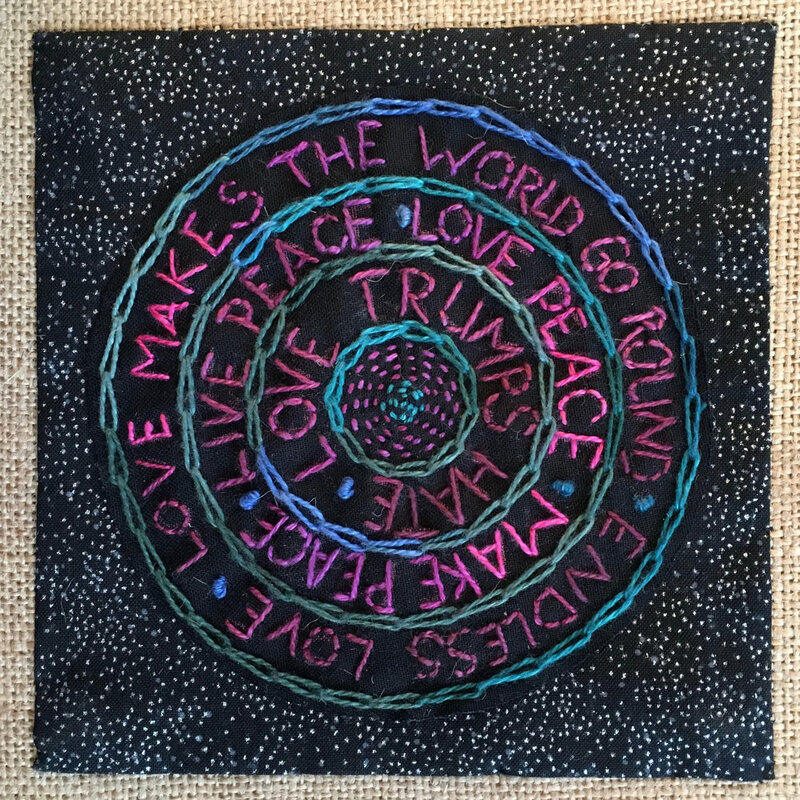 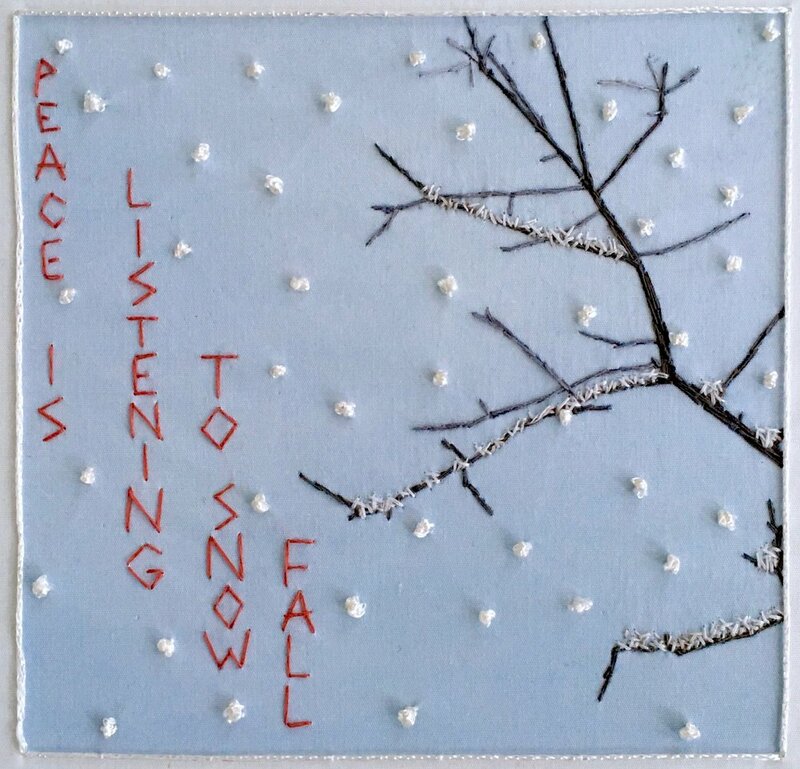 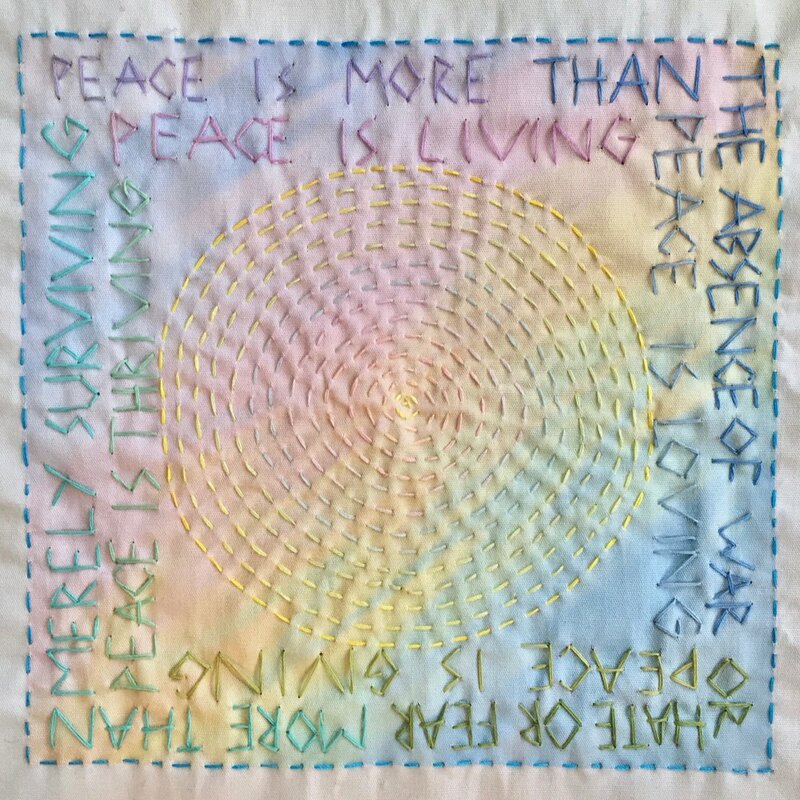 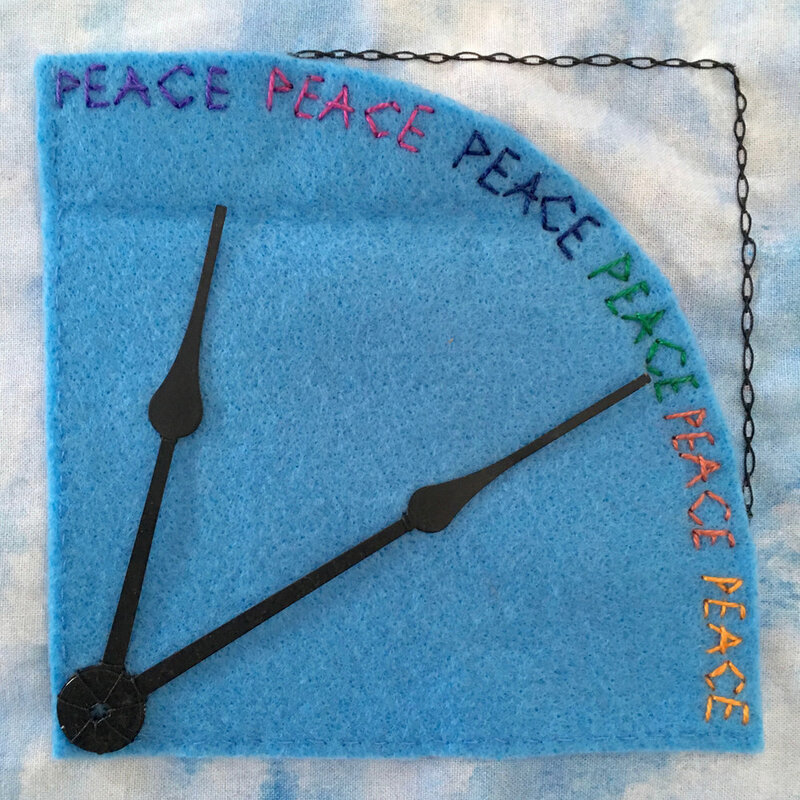 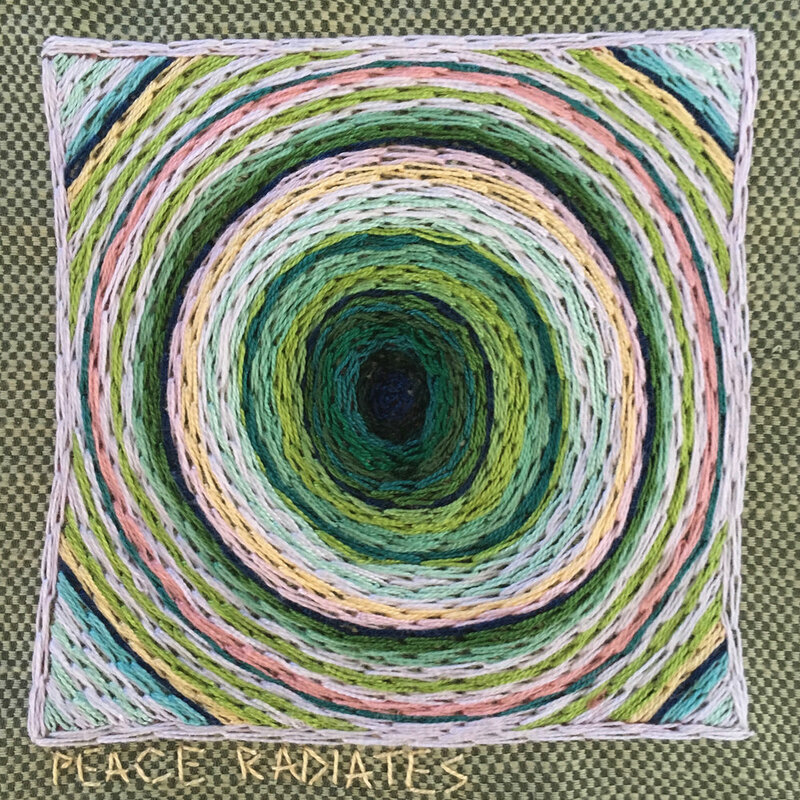 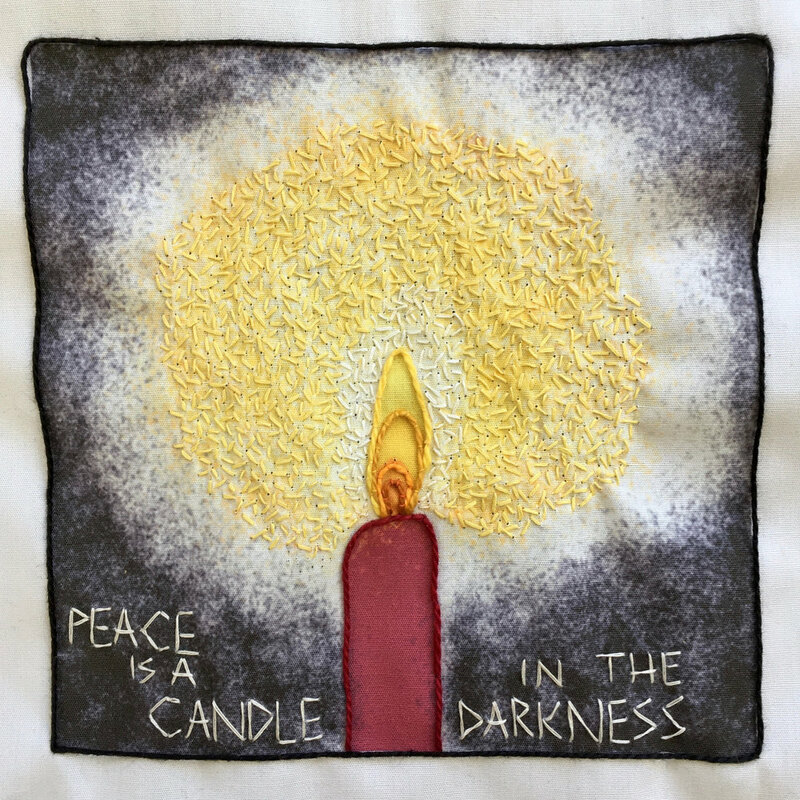 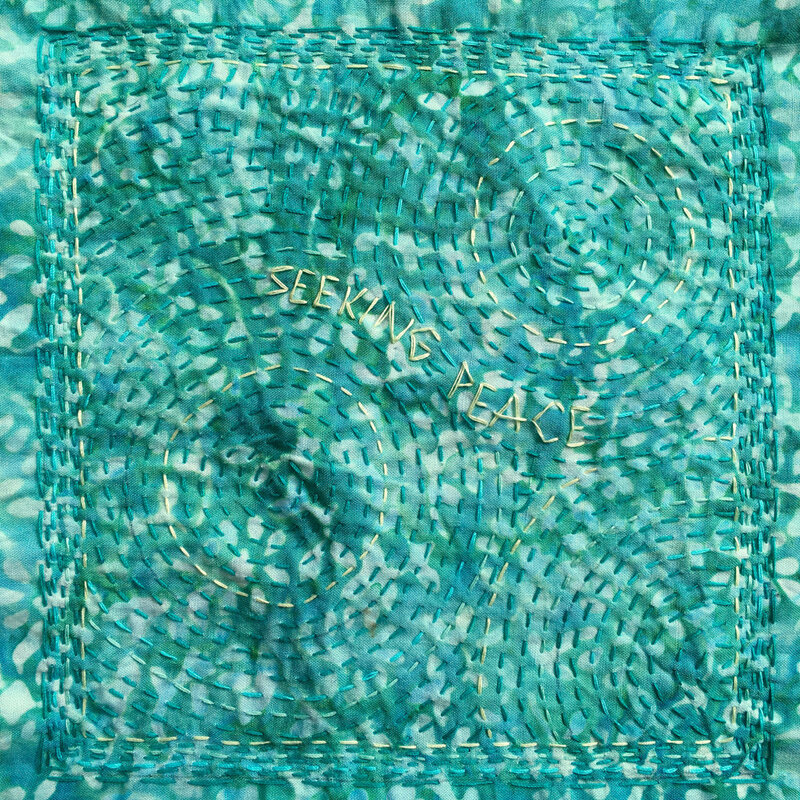 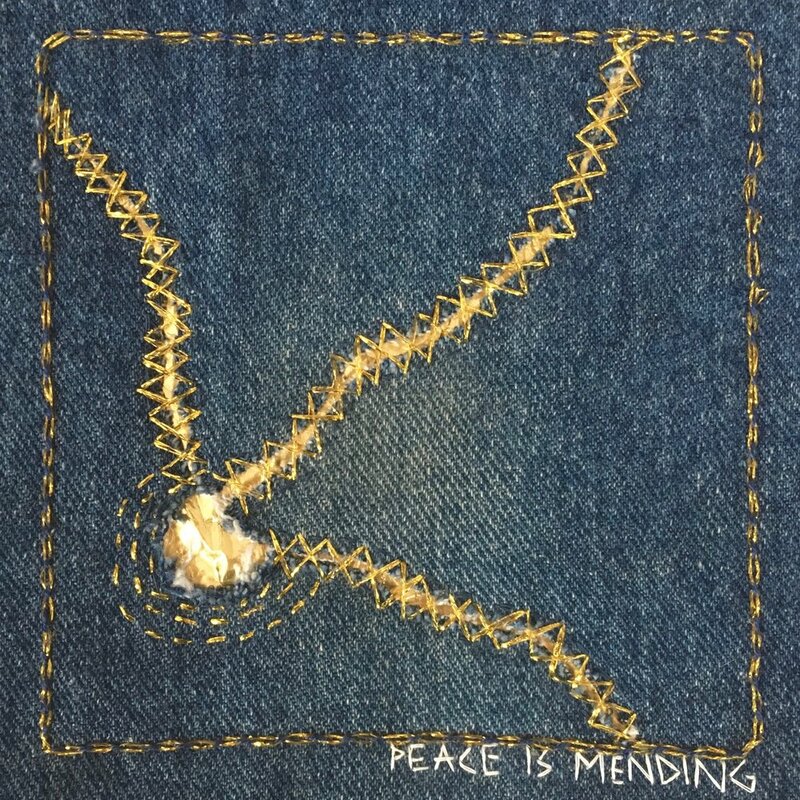 This time, I have chosen a theme for this weekly stitch practice: 52 Small Meditations on Peace. 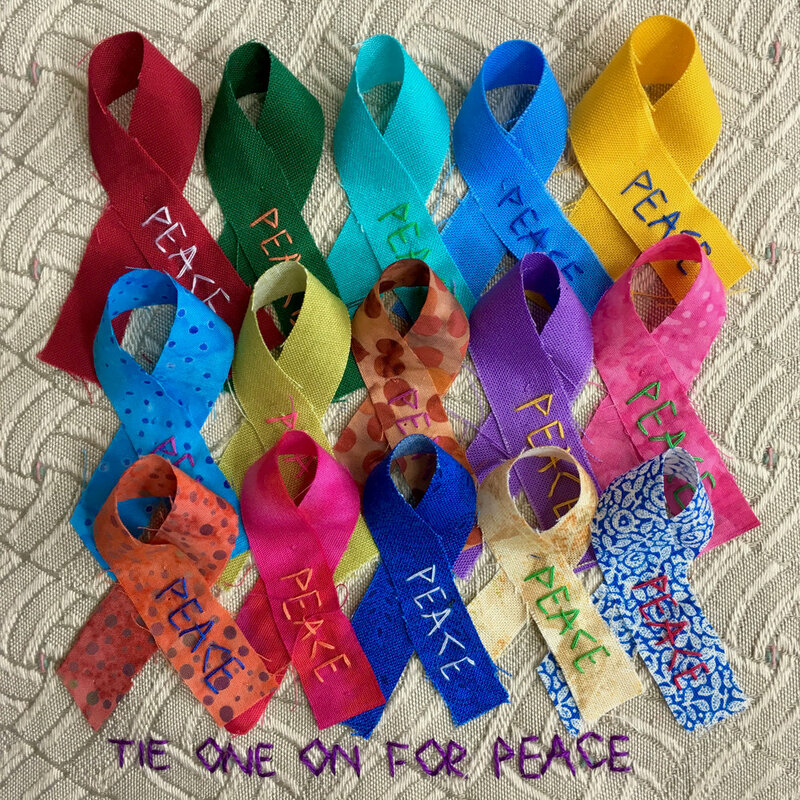 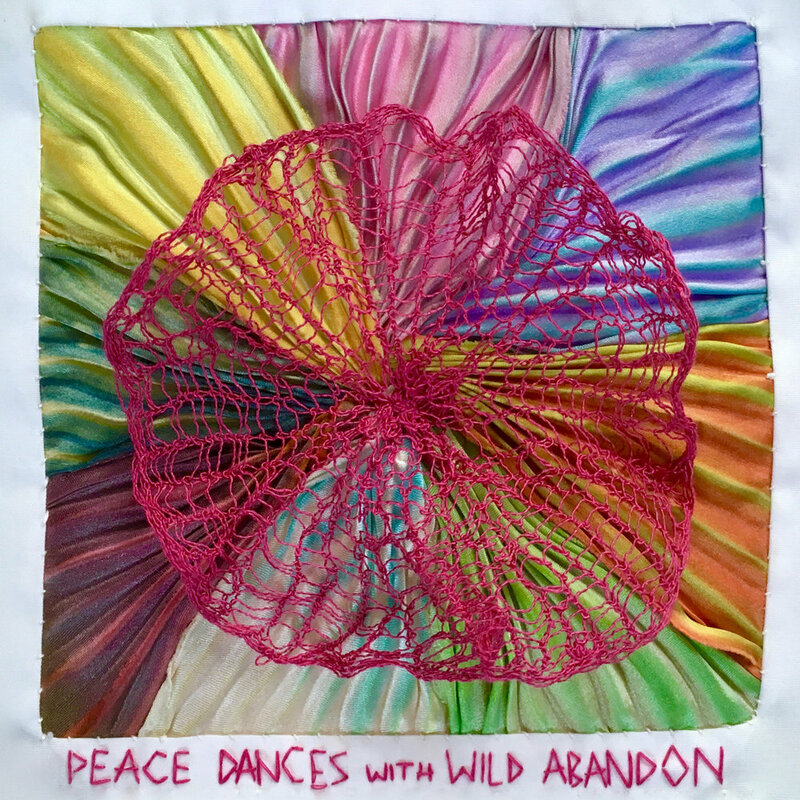 Peace can be personal, local, national, or global; and I will explore each of these kinds of peace over the course of this project.